Born on 9 June 1640 in Vienna, Leopold received a careful education by excellent teachers. From an early age Leopold showed an inclination toward learning. He became fluent in several languages: Latin, Italian, German, French, and Spanish. In addition to German, Italian would be the most favored language at his court. Leopold was schooled in the classics, history, literature, natural science and astronomy, and was particularly interested in music, having inherited his father's musical talents. Originally intended for the Church, Leopold had received a suitably ecclesiastical education. But Fate put in motion a different plan for him when smallpox took his elder brother Ferdinand on 9 July 1654 and made Leopold heir apparent. Nonetheless, Leopold's church education had clearly marked him. Leopold remained influenced by the Jesuits and his education throughout his life, and was uncommonly knowledgeable for a monarch about theology, metaphysics, jurisprudence and the sciences. He also retained his interest in astrology and alchemy which he had developed under Jesuit tutors. A deeply religious and devoted person, Leopold personified the pietas Austriaca, or the loyally Catholic attitude of his House. On the other hand, his piety and education may have caused in him a fatalistic strain which inclined him to reject all compromise on denominational questions, not always a positive characteristic in a ruler. Leopold was said to have typically Habsburg physical attributes. Short, thin, and of sickly constitution, Leopold was cold and reserved in public, and socially awkward. However, he is also said to have been open with close associates. Coxe described Leopold in the following manner: "His gait was stately, slow and deliberate; his air pensive, his address awkward, his manner uncouth, his disposition cold and phlegmatic." Spielman argues that his long-expected career in the clergy caused Leopold to have "early adopted the intense Catholic piety expected of him and the gentle manners appropriate to a merely supporting role. He grew to manhood without the military ambition that characterized most of his fellow monarchs. From the beginning, his reign was defensive and profoundly conservative." Hungary elected Leopold as its king in 1655, with Bohemia and Croatia following suit in 1656 and 1657 respectively. 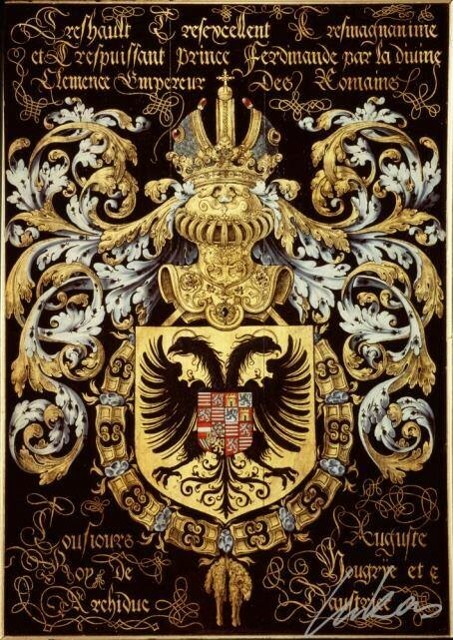 In July 1658, more than a year after his father's death, Leopold was elected Emperor at Frankfurt in spite of the French minister, Cardinal Mazarin, who sought to put the Imperial Crown on the head of Ferdinand Maria, Elector of Bavaria, or some other non-Habsburg prince. To conciliate France, which had considerable influence in German affairs thanks to the League of the Rhine, the newly elected Emperor promised not to assist Spain, then at war with France. This marked the beginning of a nearly 47-year career filled with rivalry with France and its king, Louis XIV. The latter's dominant personality and power completely overshadowed Leopold, even to this day, but though Leopold did not lead his troops in person as Louis XIV did, he was no less a warrior-king given the greater part of his public life was directed towards the arrangement and prosecution of wars. Leopold's first war was the Second Northern War (1655–1660). This war saw King Charles X of Sweden try to become King of Poland with the aid of allies including György II Rákóczi, Prince of Transylvania. Leopold's predecessor, Ferdinand III, had allied with King John II Casimir Vasa of Poland in 1656. In 1657, Leopold expanded this alliance to include Austrian troops (paid by Poland). These troops helped defeat the Transylvanian army, and campaigned as far as Denmark. The war ended with the Treaty of Oliwa in 1660. A more dangerous foe next entered the lists. The Ottoman Empire interfered in the affairs of Transylvania, always an unruly district, and this interference brought on a war with the Holy Roman Empire, which after some desultory operations really began in 1663. By a personal appeal to the diet at Regensburg Leopold induced the princes to send assistance for the campaign; troops were also sent by France, and in August 1664, the great Imperial general Raimondo Montecuccoli gained a notable victory at Saint Gotthard. By the Peace of Vasvár the Emperor made a twenty years' truce with the Sultan, granting more generous terms than his recent victory seemed to render necessary. After a few years of peace came the first of three wars between France and the Empire. The aggressive policy pursued by Louis XIV towards the Dutch Republic had aroused the serious attention of Europe, and steps had been taken to check it. Although the French king had sought the alliance of several German princes and encouraged the Ottomans in their attacks on Austria the Emperor at first took no part in this movement. He was on friendly terms with Louis, to whom he was closely related and with whom he had already discussed the partition of the lands of the Spanish monarchy. Moreover, in 1671, he arranged with him a treaty of neutrality. In 1672, however, he was forced to take action. He entered into an alliance for the defence of the United Provinces during the Franco-Dutch War; then, after this league had collapsed owing to the defection of the elector of Brandenburg, the more durable Quadruple Alliance was formed for the same purpose, including, besides the emperor, the king of Spain and several German princes, and the war was renewed. At this time, twenty-five years after the Peace of Westphalia, the Empire was virtually a confederation of independent princes, and it was very difficult for its head to conduct any war with vigor and success, some of its members being in alliance with the enemy and others being only lukewarm in their support of the imperial interests. Thus this struggle, which lasted until the end of 1678, was on the whole unfavourable to Germany, and the advantages of the Treaty of Nijmegen were mostly with France. It can however be argued that the imperial intervention saved the Netherlands from a complete French invasion. To this treaty, Leopold refused to assent, as he considered that his allies had somewhat neglected his interests, but in the following month he came to terms and a number of places were transferred from France to Germany. The peace with France lasted for about four years and then Europe was involved in the War of the Spanish Succession. The king of Spain, Charles II, was a Habsburg by descent and was related by marriage to the Austrian branch, while a similar tie bound him to the royal house of France. He was feeble and childless, and attempts had been made by the European powers to arrange for a peaceable division of his extensive kingdom. Leopold refused to consent to any partition, and when in November 1700 Charles died, leaving his crown to Philippe de France, Duke of Anjou, a grandson of Louis XIV, all hopes of a peaceable settlement vanished. Under the guidance of William III a powerful league, a renewed Grand Alliance, was formed against France; of this the emperor was a prominent member, and in 1703 he transferred his claim on the Spanish monarchy to his second son, Charles. The early course of the war was not favorable to the Imperialists, but the tide of defeat had been rolled back by the great victory of Blenheim before Leopold died on 5 May 1705. The emperor himself defined the guidelines of the politics. Johann Weikhard Auersperg was overthrown in 1669 as the leading minister. He was followed by Wenzel Eusebius Lobkowicz. Both had arranged some connections to France without the knowledge of the emperor. In 1674 also Lobkowicz lost his appointment. In governing his own lands Leopold found his chief difficulties in Hungary, where unrest was caused partly by his desire to crush Protestantism and partly by the so-called Magnate conspiracy. A rising was suppressed in 1671 and for some years Hungary was treated with great severity. In 1681, after another rising, some grievances were removed and a less repressive policy was adopted, but this did not deter the Hungarians from revolting again. Espousing the cause of the rebels the sultan sent an enormous army into Austria early in 1683; this advanced almost unchecked to Vienna, which was besieged from July to September, while Leopold took refuge at Passau. Realizing the gravity of the situation somewhat tardily, some of the German princes, among them the electors of Saxony and Bavaria, led their contingents to the Imperial Army, which was commanded by the emperor's brother-in-law, Charles, duke of Lorraine, but the most redoubtable of Leopold's allies was the king of Poland, John Sobieski, who was already dreaded by the Turks. Austrian forces occupied the castle of Trebišov in 1675, but in 1682 Imre Thököly captured it and then fled from continuous Austrian attacks, so they blew the castle up, since then it is in ruins. They fled as supposedly Hungarian rebel troops under the command of Imre Thököly, cooperating with the Turks, and sacked the city of Bielsko-Bia?a in 1682. In 1692, Leopold gave up his rights to the property and he gave his rights to the property by a donation to Theresia Keglevi?. He also expelled Jewish communities from his realm, for example the Viennese Jewish community, which used to live in an area called "Im Werd" across the Danube river. After the expulsion of the Jewish population, with popular support, the area was renamed Leopoldstadt as a thanksgiving. But Frederick William I, Elector of Brandenburg, issued an edict in 1677, in which he announced his special protection for 50 families of these expelled Jews. On 12 September 1683, the allied army fell upon the enemy, who was completely routed, and Vienna was saved. The imperial forces, among whom Prince Eugene of Savoy was rapidly becoming prominent, followed up the victory with others, notably one near Mohács in 1687 and another at Zenta in 1697, and in January 1699, the sultan signed the treaty of Karlowitz by which he admitted the sovereign rights of the house of Habsburg over nearly the whole of Hungary (including Serbian Vojvodina). As the Habsburg forces retreated, they withdrew 37,000 Serb families under Pe? Patriarch Arsenije III ?arnojevi?. In 1690 and 1691 Emperor Leopold I had conceived through a number of edicts the autonomy of Serbs in his Empire, which would last and develop for more than two centuries until its abolition in 1912. Before the conclusion of the war, however, Leopold had taken measures to strengthen his hold upon this country. In 1687, the Hungarian diet in Bratislava (called Pressburg at that time) changed the constitution, the right of the Habsburgs to succeed to the throne without election was admitted and the emperor's elder son Joseph I was crowned hereditary king of Hungary. The Peace of Westphalia in 1648 had been a political defeat for the Habsburgs. It ended the idea that Europe was a single Christian empire; governed spiritually by the Pope and temporally by the Holy Roman Emperor. Moreover, the treaty was devoted to parceling out land and influence to the "winners", the anti-Habsburg alliance led by France and Sweden. 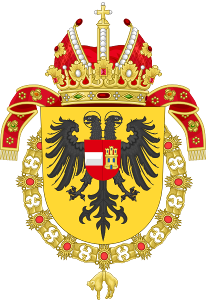 However, the Habsburgs did gain some benefits out of the wars; the Protestant aristocracy in Habsburg territories had been decimated, and the ties between Vienna and the Habsburg domains in Bohemia and elsewhere were greatly strengthened. These changes would allow Leopold to initiate necessary political and institutional reforms during his reign to develop somewhat of an absolutist state along French lines. The most important consequences of the war was in retrospect to weaken the Habsburgs as emperors but strengthen them in their own lands. Leopold was the first to realize this altered state of affairs and act in accordance with it. The reign of Leopold saw some important changes made in the constitution of the Empire. In 1663 the imperial diet entered upon the last stage of its existence, and became a body permanently in session at Regensburg. This perpetual diet would become a vital tool for consolidation of Habsburg power under Leopold. In 1692, the duke of Hanover was raised to the rank of an elector, becoming the ninth member of the electoral college. In 1700, Leopold, greatly in need of help for the impending war with France, granted the title of king in Prussia to the elector of Brandenburg. The net result of these and similar changes was to weaken the authority of the emperor over the members of the Empire and to compel him to rely more and more upon his position as ruler of the Austrian archduchies and of Hungary and Bohemia. Leopold was a man of industry and education, and during his later years, he showed some political ability. Regarding himself as an absolute sovereign, he was extremely tenacious of his rights. Greatly influenced by the Jesuits, he was a staunch proponent of the Counter-reformation. In person, he was short, but strong and healthy. Although he had no inclination for a military life, he loved exercise in the open air, such as hunting and riding; he also had a taste and talent for music and composed several Oratorios and Suites of Dances. In 1666, he married Margarita Teresa of Austria (1651–1673), daughter of King Philip IV of Spain, who was both his niece and his first cousin. She was the blonde princess depicted in Diego Velázquez' masterpiece Las Meninas. The wonderful series of Velazquez portraits of this lovely Spanish princess at various stages of her childhood were sent from the court of Madrid to Leopold as he waited in Vienna for his fiancee to grow up. This beautiful girl, the representation of merry childhood, was married at fifteen. She gave birth to four children and finally died at the age of twenty-one, leaving Leopold heartbroken, as he had truly loved her. Archduchess Maria Antonia (1669–1692) married Maximilian II Emanuel, Elector of Bavaria. Archduchess Anna Maria Sophia (1674). 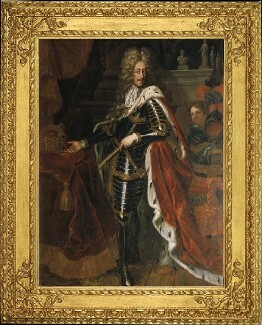 Joseph I, Holy Roman Emperor (1678–1711) married Wilhelmine Amalia of Brunswick-Lüneburg. Archduchess Maria Elisabeth (1680–1741) Governor of the Austrian Netherlands. Archduchess Maria Anna (1683–1754) married John V of Portugal. Charles VI, Holy Roman Emperor (1685–1740) married Elisabeth Christine of Brunswick-Wolfenbüttel. Like his father, Leopold was a patron of music and a composer. He continued to enrich the court's musical life by employing and providing support for distinguished composers such as Antonio Bertali, Giovanni Bononcini, Johann Kaspar Kerll, Ferdinand Tobias Richter, Alessandro Poglietti, and Johann Fux. Leopold's surviving works show the influence of Bertali and Viennese composers in general (in oratorios and other dramatic works), and of Johann Heinrich Schmelzer (in ballets and German comedies). His sacred music is perhaps his most successful, particularly Missa angeli custodis, a Requiem Mass for his first wife, and Three Lections, composed for the burial of his second wife. Much of Leopold's music was published with works by his father, and described as "works of exceeding high merit." The full titulature of Leopold after he had become emperor went as follows: Leopold I, by the grace of God elected Holy Roman Emperor, forever August, King of Germany, King of Hungary, King of Bohemia, Dalmatia, Croatia, Slavonia, Rama, Serbia, Galicia, Lodomeria, Cumania, Bulgaria, Archduke of Austria, Duke of Burgundy, Brabant, Styria, Carinthia, Carniola, Margrave of Moravia, Duke of Luxemburg, of the Higher and Lower Silesia, of Württemberg and Teck, Prince of Swabia, Count of Habsburg, Tyrol, Kyburg and Goritia, Landgrave of Alsace, Marquess of the Holy Roman Empire, Burgovia, the Enns, the Higher and Lower Lusace, Lord of the Marquisate of Slavonia, of Port Naon and Salines, etc. etc.